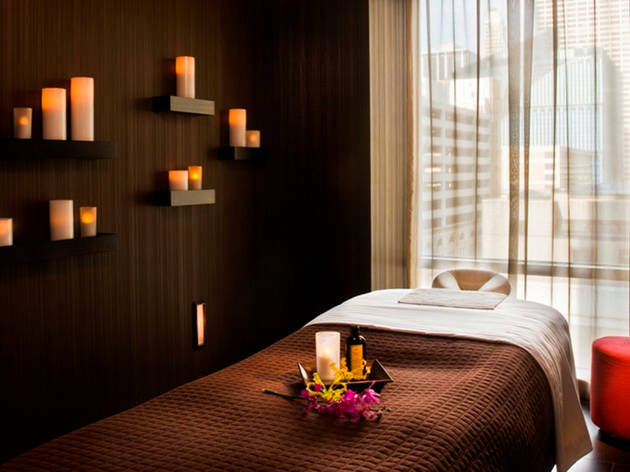 It's easy to spend the whole day at the spa within this trendy boutique hotel. 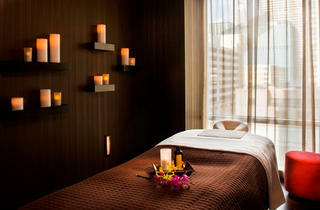 Book the signature massage ($125–$185), which combines Swedish massage, hot stones and aromatherapy, or try one of the rotating seasonal special treatments like the Yam and Pumpkin Glow Facial ($150–$200), which uses puree of yam and pumpkin to remove dead cells, reduce the appearance of pigmentation, fine lines and sun damage. Post pampering, wrap yourself in a snuggly robe and sink into a recliner in the "whisper lounge" and nosh on a spread of fruit, nuts and specialty teas.